With CES 2018 creeping closer, Dell are looking to get ahead of the rush by launching the New XPS 13 – a miniature 13” 4K laptop built with new-age materials you’ve likely never heard of. Chances are you won’t want to use the trackpad while you game on-the-go. Here are the best gaming mice around. 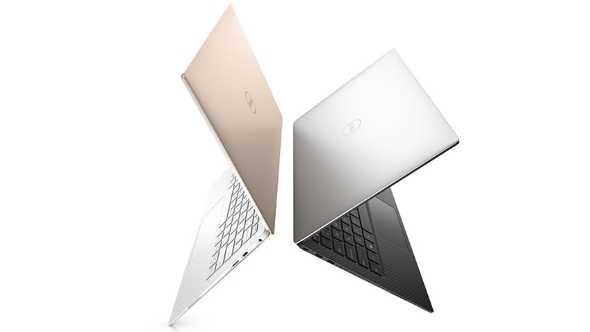 For such a tiny lap-buddy, the New XPS 13 comes packed to the brim with specs. Literally. As Gigabyte managed to bend physics with the Aero 15, Dell have also managed to fit a full 13” screen into an 11” case with the new XPS. Dell’s InfinityEdge near bezel-less display means all that dead space around the screen is no longer wasted. Dell have gone all in on the new-age materials on the XPS. Thermals are aided by GORE Thermal Insulation, which was supposedly used to insulate cables on the Mars Rover. That may satiate your childhood dreams of becoming an astronaut, but what Dell seem to be very proud of, however, is the carbon-fibre-like effect created on the white colourway model. 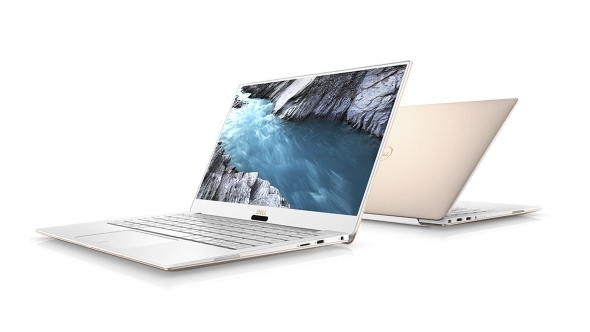 To achieve this, Dell created a material that uses woven glass fibre, coated in titanium oxide, that offers a stain-resistance pearlescent material. It also supposedly offers superior heat resistance to metal, but who cares about that – it looks cool, right? The new XPS 13 doesn’t come cheap, though, which you may have been expecting due to the use of actual space materials. Prices start out at $999/£1,249, for the i5 FHD version, which is a little steeper than this model has sold for in the past. If you want the full-spec’d kit and a 4K touchscreen in that 11” chassis (because… reasons) then you are looking at $2,049/£1,899. The rose gold and white woven glass version costs a little extra, too. The new XPS 13 is only one of many new laptops sure to be unveiled at CES in Las Vegas in the coming week (January 9 – 12). Dell have set the bar high with their new XPS 13, a productivity crowd favourite, but there are plenty more fish in the sea and so dyed in the wool gamers should have plenty more to salivate over as CES unfolds. Maybe some of these space-age thermal materials could make their way into an Nvidia or AMD powered machine? Now that would be a true test of their heat-wicking ability.